Pammy Blogs Beauty: Keeva Tea Tree Oil Acne Treatment Cream: Gentle, Safe, and Effective! 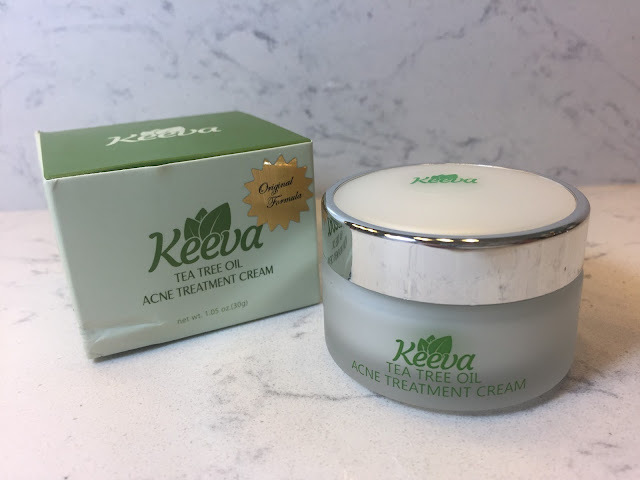 Keeva Tea Tree Oil Acne Treatment Cream: Gentle, Safe, and Effective! 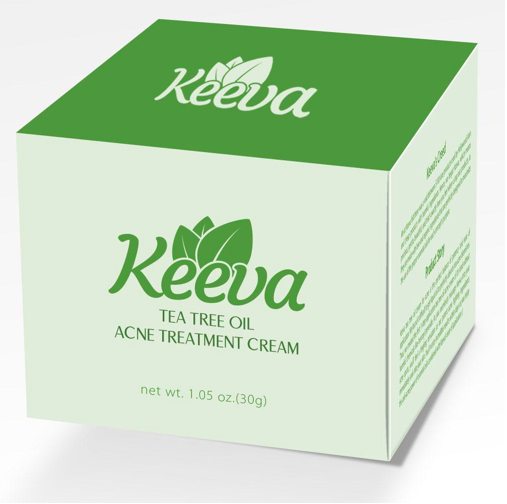 Keeva Tea Tree Oil Acne Treatment Cream: Gentle, Natural, Safe, and Effective! Are you searching for a more natural skincare alternatives for your acne-prone skin? Me, too! If you are a longtime acne sufferer or just someone looking into preventative skincare (like me), this 100% all natural acne treatment by Keeva is something you should hear more about. Finding effective and gentle products for acne-prone skin can be tricky. I have used and tried so many things over the years. Many of the more common acne-fighting product ingredients do indeed treat acne, but I have to be so careful as these ingredients can be quite harsh on my skin. I have had great results with rotating between products with ingredinents like benzol peroxide, retinol, and salicylic acid. However, I always have to proceed slowly and cautiously with treament products as to not flare up my sensitive skin. I want products to be effective without causing irritation. So, it is nice that I can now add a product with an effective and gentle natural ingredient, too: tea tree oil. While I don't use natural skincare 100% of the time, I do enjoy using natural products as much as possible. In the past couple years I have really switched out to using as many natural products as possible in many areas of my life: skincare, makeup, household cleaners, and more. So, it really does thrill me to find a great natural and gentle acne treatment! Before going any further into this review, let me tell you a little bit more about my skin. I have classic combination skin that fluxuates between being normal to normal-oily in the t-zone area. My skin is also prone to sensitivity. Generally, I have clear skin. However, I do tend to get the occasional breakout in the t-zone area (mostly my chin, but also occasionally by my nose). In addition, my pores get clogged easily. This product is a moisturizing cream with tea tree oil and other ingredients. Tea Tree oil is an essential oil that has literally been used for thousands of years to treat skin conditions. Tea Tree oil is a natural disinfectant that has a remarkable ability to fight and treat acne. The tea tree oil used in the Keeva Tea Tree Oil Acne treatment cream is obtained by a thorough steam distillation of the leaves of the Melaleuca alternifolia plant. While there is tea tree in this product, I can't really smell it in the product. The product smells more of menthol than tea tree. So, if you are sensitive to menthol, do know that it is in the product (although it is almost last on the ingredients list). 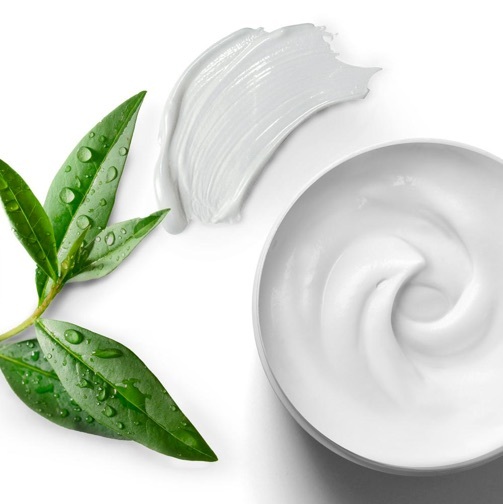 Other ingredients include, but are not limited to: Shea Butter, Rosehip Seed Oil, Sesame Seed Oil, Olive Oil, Extracts of White Willow, Milk Thistle, Salicylic Acid, Vitamin E, Tea Tree Oil, and Hyaluronic Acid. So, you can see that this product is full of wonderful skin-loving ingredients! The Keeva Tea Tree Oil Acne Treatment Cream has antibacterial and anti-inflammatory properties as well as disinfecting and soothing properties from its natural ingredients. Plus, you can feel good about using this product because the ingredients in Keeva Tea Tree Oil are 100% organic. Additionally, ther is no animal testing! To use, apply less than a dime size amount of Keeva Organics Acne Treatment directly onto the blemish. 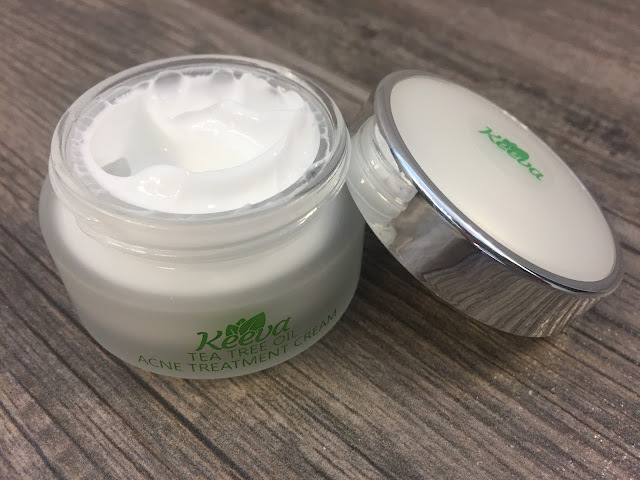 The Keeva Tea Tree Oil Acne Treatment Cream will penetrate the skin and help to unblock the sebaceous glands and help to disinfect your pores. I used the cream a little differently since I did not have any major blemishes to treat during my testing phase of this product. So, I used this product more preventatively. Typically, my breakouts occur in my t-zone area (primarily my chin but also near my nose). So, after washing my face in the evenings, I just applied a very small amount of this cream in those areas and then I followed up with my usual skincare routine. I am happy to report that in my weeks of using this product, that I did not experience any adverse side effects nor did I have any breakouts. The areas treated by this cream are smooth and hydrated and blemish free. I really enjoy the soothing feeling of this cream. Unlike many other acne skincare products that I have used in the past, the Keeva Tea Tree Oil Acne Treatment Cream did not cause dryness nor irritation. Actually, it feels very hydrating and soothing to use this cream! Keeva Organics is so confident that you will love their product that they offer a money back guarentee! Impressive!!! They offer a full refund should anyone try it and not feel it is the most effective acne medication they've ever used. Overall, I am very pleased with the Keeva Tea Tree Oil Acne Treatment Cream! You can buy the product here on amazon. Also, be sure to check out the full website as Keeva has so much to offer. Keeva has a full line of organic products from skincare, to hair care, to body care. So, I am excited to explore the brand further in the future! You have the capacity to employ your tooth-paste to eliminate one's own pimples acne or infections scars. You only need to utilize the tooth-paste entirely on your own pimple or pimple. It's possible for you to make work with of a bandage in order to stop from building a wreck onto your own pillow. Try so nightly whenever you're just about to goto sleep so when it really is dawn you may clean it using fresh water.This cure method is rather powerful. The fastest method to find reduce a eczema is that using all-natural solutions for pimples, even since they truly have been economical and incredibly dependable. Pimples is due because of the bacterium which resides in the face of skin. It's just harmful if this bacterium will get to the pores of skin.Here you came to know that how to remove pimples? There are also various home remedies for acne to get rid of pimples or acne instantly.